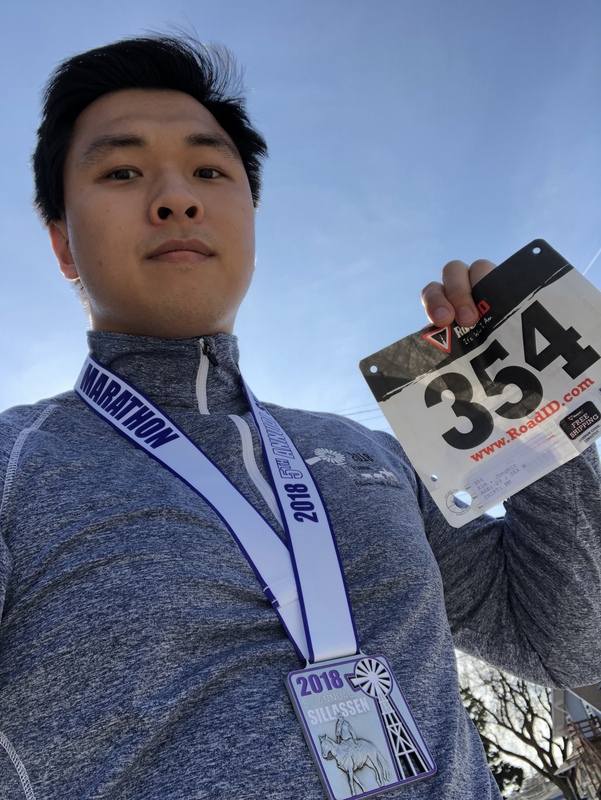 With Nebraska finally warming up, or so I thought, I sought the earliest available 13.1 miles and landed on the Sillassen Half Marathon, scheduled to take place on April 14, 2018, in Arthur, Nebraska. I committed to a six-hour drive to the land of nothing-to-do just so that I could enjoy the beautiful nature across the Sandhills. Semi-understanding the course’s inevitable hilliness, I focused training on steep rolling hills. When I registered, the weather channel predicted race day in the 40s, my ideal temperature for long-distance running. Then, Nebraska was hit with a storm warning, which became a blizzard warning, in mid-April. Really? I took out my winter running gear for a race in the upper 10s. I had booked a hotel, completed training camp, tapered, packed, and mentally prepared, before I was notified, two days prior to go time, the event’s cancelation due to the possible blizzard, in mid-April. I asked the race director if she could allow the registrants to run a virtual race, especially with the no-refund policy, and thankfully she agreed. Ten minutes after her official confirmation, I took off for the most spontaneous half marathon ever, slightly concerned about feeling nauseous running on a full stomach of Subway’s Cold Cut Combo meal. For the first eight or nine miles, I looked for significant hills to replicate the Sandhills, coincidentally while the race director was emailing the runners to “try to add some major hills.” Because GPS could sometimes be inaccurate, I ran 13.24 miles, rather than 13.1, in 2:12:31, horrendous time but okay considering the consistent hills, powerful headwinds, and my very last-minute decision to take on this challenge. I did not believe I would run another virtual race after early last year, but I cannot complain about the best alternative to the actual Sillassen Half Marathon.